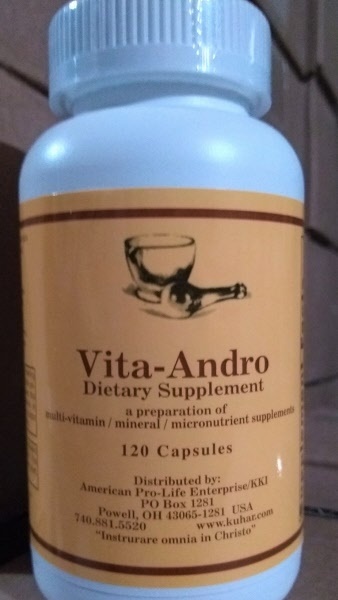 Vita Andro Men's Formula (compare to Androvite) capsules 120s. NEW improved capsule formulation! Internet Special: Buy 3 or more get 5% off; or buy 5 of this product and get one btl FREE (no volume discounts with the latter special)! NEW, improved formulation, now in CAPSULE formulation, same ingredients and per day total vitamin content [except for minor non-significant amounts of coloring], but dosage is only 4 capsules/day. We recommend 2 capsules morning and evening, with or without food. The high potency, complete men's formula [our private formulation compared to Androvite (R)] to assist with fertility, prostate function and overall general men's health. Supports male performance without all the side effects, dangers or high cost of the "blue pill." Notice to celiac patients: contains a minute amount of whey protein, consult your physican. Ursula at 17 Hear the clear, strong voice of the singing prodigy Ursula Kuhar, at the tender age of 17. 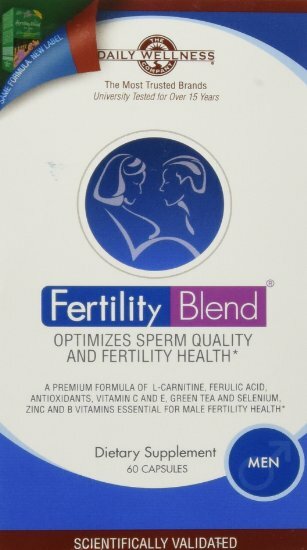 Fertility Blend forMen Capsules 60's by Daily Wellness, recommended by author Marilyn Shannon!